Jump into Spring with music at Chelmsford’s Civic Theatre and the Cramphorn Studio, with tributes to the Queen of Soul, a country legend and a night of James Bond themes. The first lady of soul music, Aretha Franklin, will be celebrated in ‘Aretha – Respect’ on Saturday 9 March. Janine Johnson, a hugely respected soul singer who has worked with Paloma Faith, Take That, Ray Davies, The Who and many more, has a unique soulful voice which she uses to great effect to pay respect to Aretha’s legacy. The musical director is Malcolm Maddock, who has worked with James Brown, Lionel Ritchie and George Benson, and leads a band full of world class talent. Expect to hear all of the hits including; ‘I Say A Little Prayer’, ‘(You Make Me Feel Like) A Natural Woman’, ‘Chain of Fools’ and of course, ‘Respect’. Fans of James Bond will not want to miss ‘The James Bond Concert Spectacular’, which will be hosted by Bond Girl, Caroline Munro, who played Naomi in ‘The Spy Who Loved Me’. The show has been a huge hit around the world, with all of the greatest 007 songs from the movies including ‘Goldfinger’, ‘Skyfall’, ‘Thunderball’ and more. The concert features top musicians, stunning dancers and a very knowledgeable compere. Bond fans will get their ‘All Time High’ on Friday 15 March at 7.30pm. 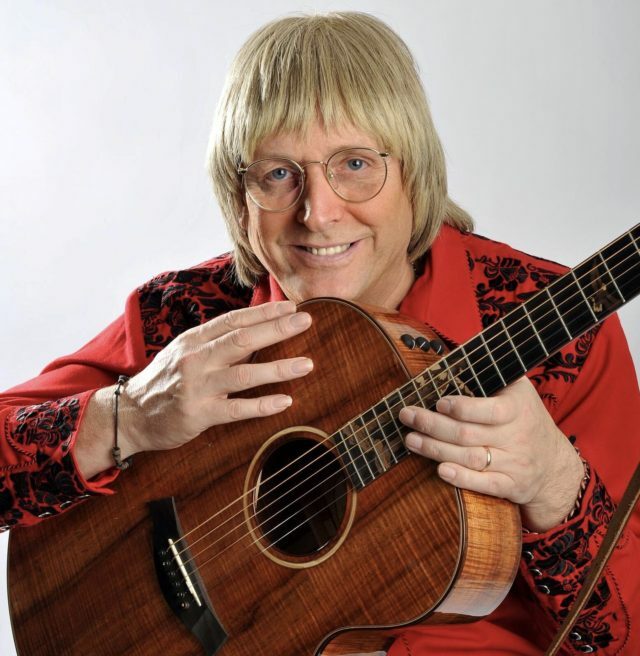 You will not need to get on a jet plane to see ‘A Celebration of John Denver’ when Wayne Denton brings his loving tribute to the folk/ country legend on the Civic on Friday 29 March. John Denver sold over 33 million records during his lifetime and is one of America’s best-selling performers. Songs such as ‘Leaving on a Jet Plane’, ‘Take Me Home Country Roads’ and ‘Annie’s Song’ catapulted him into the high reaches of the charts. Sadly, John was killed in a tragic aircraft accident in 1997; now, thanks to the tribute by Wayne Denton, fans of John Denver can celebrate and remember those wonderful songs that shunned the complexities of modern life and focused on nature, music and relationships. Wayne will be backed by a group of musicians who will faithfully recreate those warm, loving songs. Lovers of classical music will be delighted by the next M&G Classical Concert Series when The London Mozart Players will soundtrack a screening of Charlie Chaplin’s 1925 silent movie, ‘Goldrush’, on Friday 8 March. The actual score was composed by Chaplin and was nominated for an Academy Award. The London Mozart Players will be conducted by Ben Palmer. The concert starts at 7.30pm. The Lunchtime Concerts continue every Wednesday in the Cramphorn Studio at 1pm and offer a delightfully relaxing interlude to the day. The lunchtime concerts are free, although a donation of £1 is suggested. Mike Chapman will be performing sole classical guitar pieces on Wednesday 6 March, whilst the vibes of Latin America will be played by Cloud 9, Penny and Gerry on clarinet and guitar and the ever-helpful Jeffrey Wilson on piano. Wednesday 27 March will feature David Adams on clarinet and Gerald Hindes on piano and will include a relaxed concert at 2.15pm. To book tickets to see any of these events, visit www.chelmsford.gov.uk/theatres or call the Box Office on 01245 606505.